The DPP Platform beta is officially live. Start trading today! After many months of hard work and great strides, we’re proud to finally put the DPP Platform in your hands. This closed beta is only available to early access users. All early access users have been whitelisted for the beta and notified via email. After signing into your account or creating your account, early access users will gain full access to the beta. If you are not an EAU, make sure you create your account and sign-up for the whitelist. During the beta, you will have full access to strategy creation across three supported exchanges including Bitstamp, Kraken, and Tokens. All beta users also have access to the entire list of available nodes, including all Data Streams nodes (powered by DPP DataStreams), the Historical Data Node, and Sentiment Node. If you just want to jump in and quickly try a strategy, four ready-to-use strategy templates are available including Market Making, EMA Crossover, Arbitrage, and Smart Order Routing (SOR). The Forward Testing feature is also available. For Forward Testing, we have replicated order books for four exchanges (Bitstamp, Kraken, CEX.IO, and Tokens) running on our order book matching engine. Users do not need to onboard wallets from those exchanges. You can simply allocate a predefined amount of the digital assets and forward test their strategies — matching orders and trades from the selected exchange with the strategy’s orders and trades. Features, strategy creation, stress testing, and all technical aspects have been tested internally ahead of this beta release. The main purpose of this beta is to get as much feedback from you as possible — whether it’s regarding the UI, strategy creation, and nodes. Note, the user interface will undergo several changes for the first major update following commercial release. Making advanced algorithmic strategy creation easy and accessible is at the heart of the platform. To help you get started with the beta, we prepared a short video (see above) that will show you how to connect your wallet and guide you through the entire strategy creation process. In this case, we used a basic EMA Crossover strategy as an example. As we approach the launch, we will add more tutorial videos and demos that will help you get accustomed to the DPP Platform and take full advantage of its features and capabilities. For more details on everything that’s available in the beta, please refer to the platform documentation. We hope you enjoy your time with the beta! Your feedback will be extremely valuable during the beta process. If you have any suggestions, questions or comments, please contact our team at support@dapowerplay.com. Our dev team is also available via Twitter, Telegram, and Reddit channels. During the closed and following full release, we will schedule AMAs and we encourage you to take part! This is a great avenue for detailed discussions with our developers, asking questions, and engaging with the rest of the DPP community. 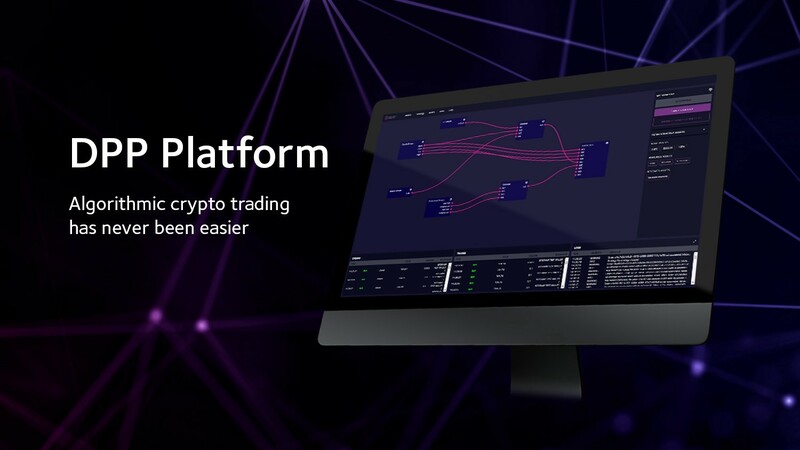 We’ve always believed in putting the power of algorithmic trading strategies in the hands of the user, allowing you to not only enhance and simplify the crypto trading experience but to also have more control over the ever-shifting crypto market. Create your account today and access the beta now! For more on the DPP Platform and the future of crypto trading, keep it locked on Digital Assets Power Play. Create your DPP account today! Follow us on Twitter, Facebook, LinkedIn, and join our Telegram group to get the latest news and updates.